Olivia the dog has starred in Widows, Game Night, and Netflix's Insatiable. She is a three-year old West Highland White Terrier who weighs 15 pounds, and is described as a "walking stuffed animal," for her mellow temperament. Viewers have been commenting on her appearance in Widows, and many have been wondering what type of dog she is. However, not many people know that she has been acting in a few other projects over the course of the last year. Animal Casting Atlanta has Olivia listed under their medium dog category, where they list her resume as well. In addition to the "walking stuffed animal" description, the site also says that she is "precious" and "exuberant." Olivia gets a considerable amount of screen time in Steve McQueen's recently released Widows. As for his reasoning behind the decision, McQueen says, "People live with dogs, so let's be true to the reality that we live in." And he stayed true to that reality, putting Olivia in Viola Davis' hands in nearly every scene. Olivia is in the majority of Widows, and there are some pretty tough scenes, including one where she even gets threatened. It's her excellent sense of smell that tips Viola Davis' Veronica character that something is off. Since she plays such a large role in the movie, the cotton ball-looking canine has been receiving a lot of extra attention, with many dog lovers insisting that she get an honorary Academy Award for her amazing performance in Widows. Olivia gets more screen time than some of the actors in the heist movie, which is currently number eight at the box office. Viola Davis was a little apprehensive about working with a dog on Widows. However, once she met Olivia, everything started to change. Davis had this to say. "I don't own a dog in life, so I was (complaining) like, I've gotta work with a dog. What if the dog licks me? Dogs are nasty and disgusting. Within the first five minutes, I'm kissing the dog, I'm holding the dog, the dog was on my chest. I love that dog, and she came to me so easily." Olivia has been praised for being highly professional on the set. 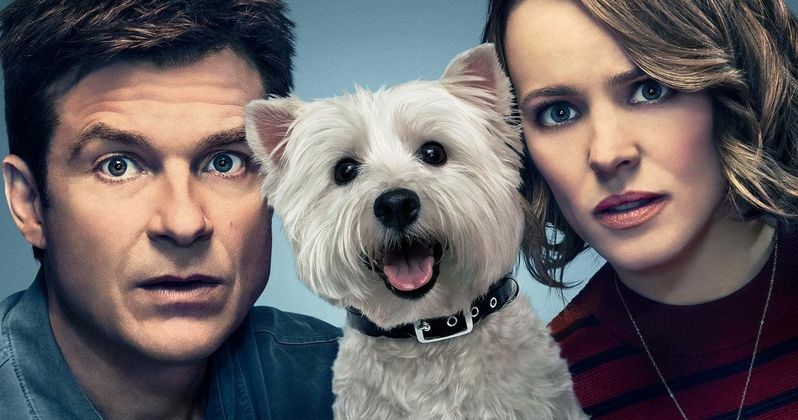 While working on Game Night, Jason Bateman also gave praise to Olivia, though he thought that she was a male dog. Bateman also noted that she had a nervous bladder and tended to urinate frequently. Olivia started her acting career in Netflix's Insatiable with a small part and then moved on to Game Night. But, it's her work in Widows that has been her most substantial role to date and will more than likely keep her acting in the future. Hopefully the adorable pup gets some mentions when awards are handed out early next year. You can head over to the Animal Castings Atlanta website for more information on the other dogs that they represent.